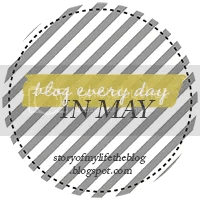 This post is for Day 19 of the Blog Every Day In May Challenge: Five of your favorite blogs and what you love about them. I’m always excited about sharing my adoration for my fellow bloggers. I am motivated by their stories, accomplishments, and creativity. I am constantly awestruck by the mutual support many bloggers give to each other. That’s what makes us happier, healthier, and wiser. SITS is more than just a blog. It’s a movement! They are an online community of 40,000 bloggers. It is the brainchild of Tiffany and Francesca. This is the site that I visit daily without fail. They feature a different blogger every weekday and have a Sharefest on Saturdays. They have been essential to the connections that I have made with other bloggers and referral traffic to my blog. There are discussion forums and tons of tips and how-to instruction on growing your blog. I can’t wait to attend one of their Bloggy Boot Camps that they hold in different cities nationwide. Joi is a pharmacist, fitness instructor, mentor, blogger, and all-around superwoman. Her blog, Rx Fitness Lady, speaks about many of the happy, healthy, and wise things that mine does. She is a Southern lady like me and has helped me let my guard down and be myself with my posts. I nominated her for a Liebster Award last month. She is hosting a mini-blog challenge this week, May 20, 2013 through May 26, 2013. There are some fabulous topics to post about. I’ll be participating too. Kate at Another Clean Slate never disappoints. She will truly entertain you with her posts. This Boston girl is newer to blogging than I am and has racked up awards galore. She’s an avid reader with a passion for life. Kate is so deserving of all the accolades that she is getting. She often is amazed as to why she is being applauded, but it’s no surprise to her readers. Michelle at A Dish of Daily Life is my go-to for organizing tips. Everything from photo storage to kid’s daily activities. In some cosmic way, her posts tend to align with some current challenge that I’m facing in my cluttered life. She was a recent Featured Blogger on SITS for a day. Her genuineness is very comforting. You can find the Connecticut mom on Twitter @dishofdailylife all the time! BFF mommy bloggers Ashley and Lisa at The Dose of Reality have over 500 Pinterest Nightmare posts. You must check them out. They were Featured Bloggers on SITS for a day in November 2012. I love their frank style and sense of humor. What makes you visit a blog more than once? You so made my day with this!!! I am honored to be included! Kim- you are just incredible! Thanks so much for the shout out!!! You are welcome! Gratitude is my attitude. Very cool. I'm a new blogger myself as if December '12. So happy to hear about these communities as I'm a SAHM blogger still learning the ropes. Great posting! Thanks Lisa! Connecting with other bloggers is key to growing your blog. You ladies are going to make me cry on my laptop! I'm just giving back what has been given to me. Cool topic for the challenge! You have such kind words my friend! Thank you so much. It just warms my heart! I DITTO everything you said about SITS, The Doses and Michelle. You summed them up just right:) Can't wait to see your posts this week! I appreciate you participating seeing as how you are already rocking out this 30 day challenge! Love it! It's all true, girl. I must be committed to this thing because I was out of town Friday and Saturday for my cousin's graduation. And I still managed to write and post both days. It is forcing me to plan and focus. Just what I need in my life. Good luck with your challenge this week. I'm fired up about it!